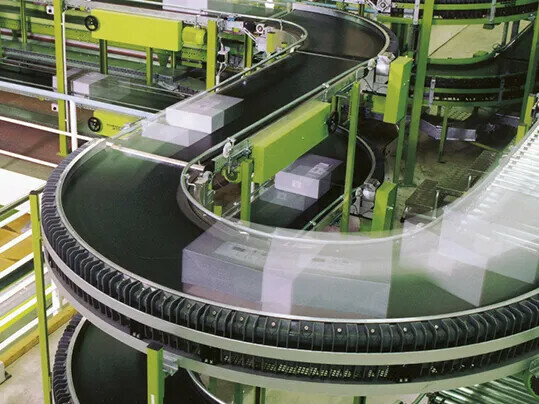 Thanks to their fabric design, Siegling Transilon curved belts are exceptionally flexible, both laterally and longitudinally, ensuring an optimal distribution of forces within the belt. 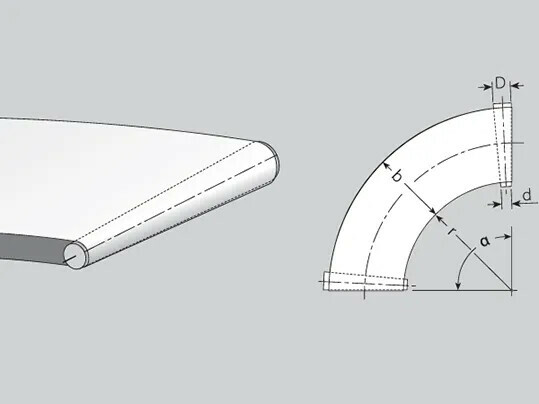 Depending on the application, either conical or cylindrical drums are used, or in some cases even knife edges or rolling knifge edges. 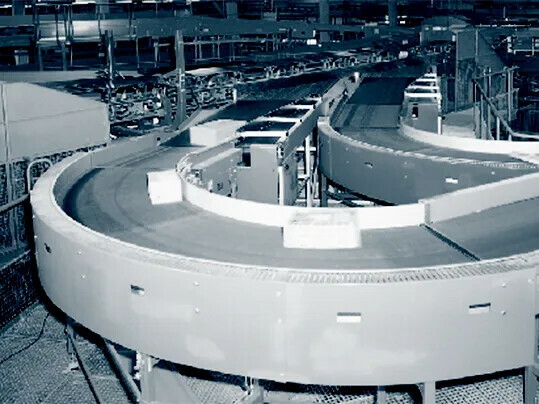 Curved belts can be fabricated from one or more segments. 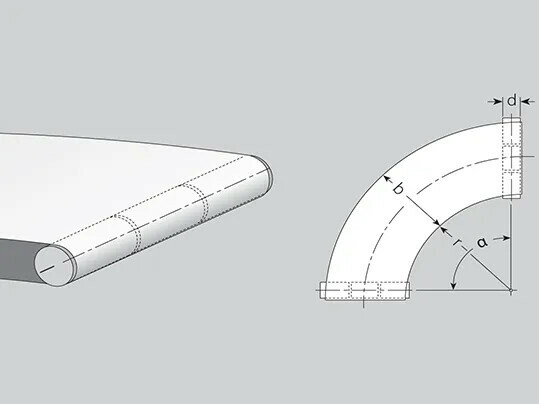 Fabrication from several segments improves the distribution of forces within the belt. Curved belts can be equipped with perforations or eyelets along the edges so they can be attached to tracking systems later on. Spiral curve in the confectionery industry. 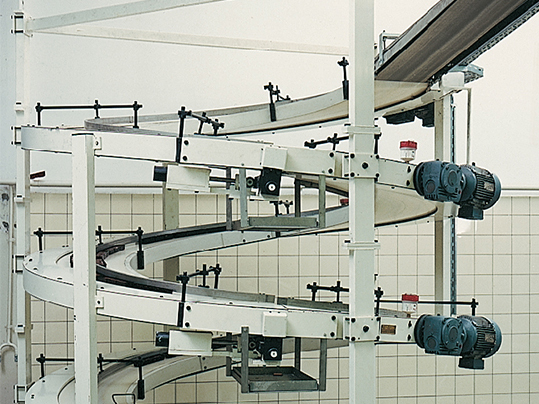 Curved conveyor in a distribution centre.